In 2010, everyone with even a casual interest in world news was captivated by the utterly Hollywood-sounding story of the 33 men who spent 69 days trapped more than 2,000 feet underground in the San José mine in Chile. 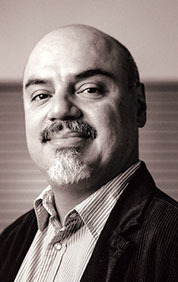 Hector Tobar is perfectly placed to write about the real stories of actual heroes escaping a living limbo. With the publication of Deep Down Dark: The Untold Stories of 33 Men Buried in a Chilean Mine, and the Miracle That Set Them Free, the former L.A Times staff writer, Pulitzer Prize-winner, and fearless social novelist has offered his ever growing audience an intimate look at the human desperation and haphazard conviviality at the source of the media spectacle. Before they were entombed, the miners all willingly faced their mortality, notes Tobar. In exchange for their good wages (at least $1200 a month, about triple the Chilean minimum wage) each worker accepted the possibility of death as they worked their twelve-hour shifts seven days a week. When the wall of their escape tunnel collapsed, the miners reacted with a sense of fatalism. As Tobar points out, it is a bitter truth acknowledged by the toiling men that miners are sometimes buried alive, dying of starvation, their bodies never recovered. Soon after the collapse, the men made beds out of cardboard boxes that had held explosives. They stared, both literally and figuratively, into the dark. Deep Down Dark deftly cuts between the drama of the waiting families above, living in a makeshift camp where they met with government ministers, NASA advisers, engineers, and drillers, and the plight of the workers buried beneath. As the rescue effort played out in the news, the deadly pageant had the ring of some moral imperative; it was more than a televised story about survival, it was like some ancient fable about faith, and its very telling seemed to demand a change, a consciousness adjustment in its audience. It brought to the world economic frustration and the state of Latin American politics. Tobar recounts how the few liters of bottled water were finished in a day so the men drank from the industrial water in the tanks, a few men electing to use it wash themselves before realizing how precious it was. Eventually the miners were left drinking from a sixteen gallon barrel where, they could see motor oil floating in the only water left to drink. Though the story of triumph through catastrophe seemed to belong to everyone who witnessed the rescue, it became clear that this was also a story about community evidenced by the actions of the men, sharing their tiny food supplies, drinking dirty water, and keeping their sanity as best they could. The miners referred to each other as los niños, adhering to a code that no one among their group was better than anyone else. If all of this seems like a real life disaster flick, there was a bit of Bonfire of the Vanities as well. To the credit of the miners, in the face of new found celebrity and extravagant gifts such as $500 dollar Oakley sunglasses to help their eyes adjust to the outside, the men kept their integrity with the same tenacity they held onto their lives.